Panoramic views from every window are captured by the expansive floor-to-ceiling walls of glass, affording spectacular Ocean & Marina views. 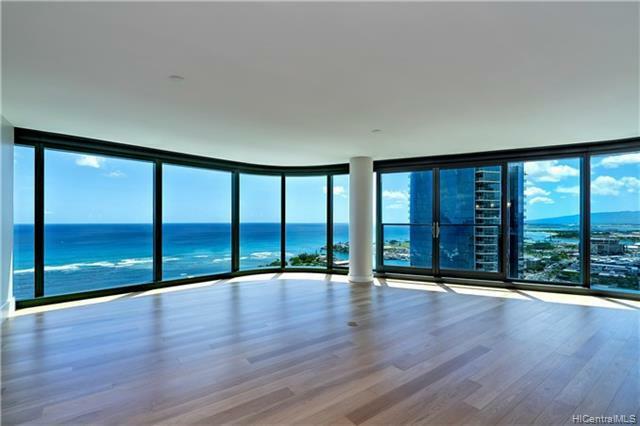 Anaha; one of Honolulu's premier buildings, offers a flowing floor plan that affords privacy, yet is perfect for entertaining. The 3 en-suite bedrooms have ample closets, w/the master bedroom having its own walk-in closet. 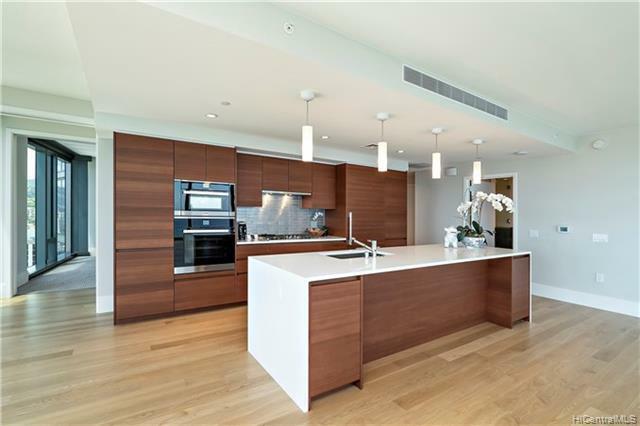 Central zoned A/C throughout & separate laundry room The chef's kitchen includes; Studio Becker cabinets, Miele appliances & a wine chiller. Anaha offers every amenity; glass bottom heated pool, whirlpool, steam sauna, golf simulator, cinema, billiards room, fitness center, dog park, sand volley ball court, tennis court, concierge & 24 hour video security.PET FRIENDLY! Dogs up to 60 pounds! KAKAAKO LIFESTYLE - COME LIVE THE DREAM!